I had my first poached egg at 22 years old. Having grown up only eating eggs on weekends and having a mother very talented at creating sunny-side up eggs basted with butter, my eyes never wandered anywhere else. It wasn’t until Ktams and his egg poacher came into my life that I have been having a love affair with poached eggs. About a year ago, we decided to invest in a set of Poach Pods and chuck our nonstick poacher. While it took some adjusting to replicate the perfect poach, I sleep easier knowing that the materials we use to cook are non-leaching (probably a good place to note that we are a nonstick-free household). 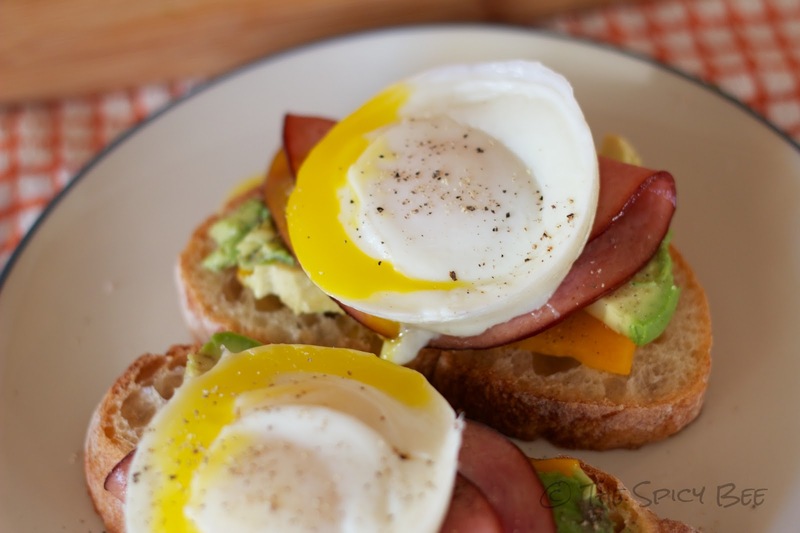 Poached eggs are pretty easy, and eggs make a delightful meal regardless of the time of day. 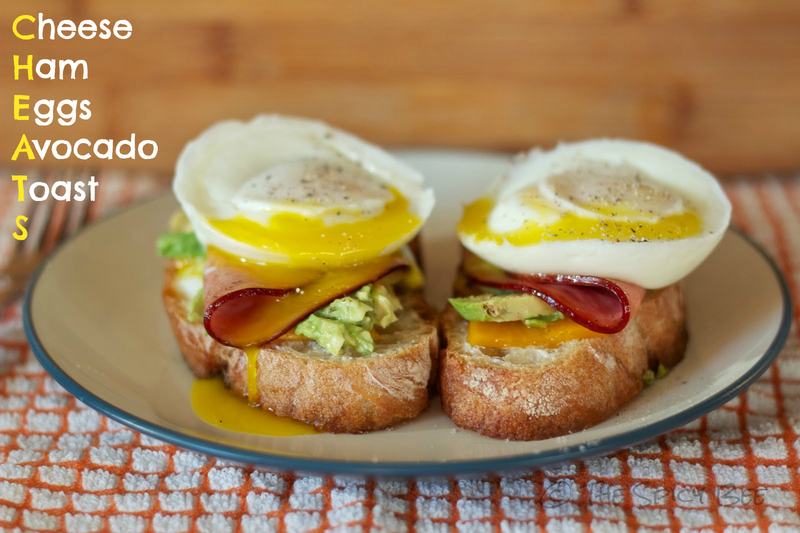 This recipe is so simple you will feel like you’re cheating…I present to you a recipe for the AM or PM–CHEATS (Cheese, Ham, Eggs, & Avocado [on] Toast). Toast and butter the bread. If you’re feeling advantageous, I suggest browning the bread in butter (or bacon fat) in a cast iron skillet! Meanwhile, poach the eggs. Never poached before? If cooking with the Poach Pods, butter the insides of the pods and drop 1 egg in each; float the eggs in enough boiling water so that they don’t touch the bottom of the pot. Cover, and boil for 3 minutes (this might take some tweaking depending on how you like your eggs–3 minute eggs are what’s pictured. I like them still a bit runny). If you’re using a poach pan, your time may be closer to 2 minutes and done in a shallow frying pan with about an inch of boiling water. There’s also this helpful how-to via Wikihow. If using the cast iron skillet, once the bread is browned, remove it from the pan and replace with the ham to caramelize for a minute or so (remember to do both sides). While that sizzles, plate your toast and start building on the cheese, avocado, hot ham, and top with egg. Finish with salt and pepper. This recipe serves 4. We like to eat this recipe with some kick, too–so for those of us that want to bring the heat, I suggest a healthy serving of Tabasco or Cholula hot sauce. One could even serve with a favorite salsa on the side!